This musical was performed as a staged reading during Week Two of The New Ideas Festival at Alumnae Theatre. Before the reading, I had trouble imagining how anyone could write a musical about the Avro Arrow and make it work. Playwright Doug Warwick figured it out. It was terrific – I really enjoyed it. The music worked, and the show was funny. You can enjoy the show without knowing the Avro Arrow story, but it’s an important part of Canadian history and something we should all know. The cancellation of the production of the Avro Arrow in 1959 took about 30,000 people out of work. Thirty-two engineers and technicians moved to the U.S. to work in NASA’s manned space program – a serious brain drain. Emotions still run high when people talk about it – even people who were just children in the late ’50s. There’s a persistent rumour that one of the prototypes of the arrow was spirited away and hidden. There are conspiracy theories. It’s a fascinating story. During the talkback after the play director Nonnie Griffin asked the audience how many people had some kind of connection with the Avro Arrow and more than 10% of the audience raised their hands. 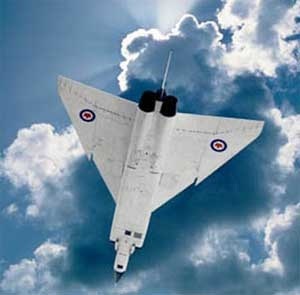 Make sure you see The Flying Avro Arrow – A Musical at Fringe this summer. Don’t forget, there’s one more staged reading in The New Ideas Festival program: Weightless by Kelsey Blair, directed by Ramona Gilmour-Darling is scheduled for next Saturday, March 27 at noon.